June 28, 2013 is a huge day for Buddha-Bar Manila and they want you to be a part of it! They will be launching Buddha-Bar XV, the 15th CD of the world-famous Buddha-Bar compilation CD, where it all began. 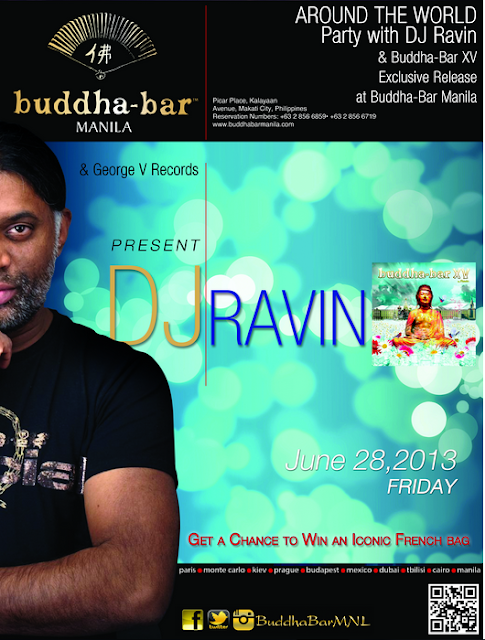 DJ RAVIN from Paris will be coming to launch Buddha-Bar XV, and will spin the night away. There will also be a grand draw of the P100,000++ French Iconic Bag that all ladies will absolutely LoVe! And to top it all, it will also be the big night of one of the biggest and most fabulous giveaways ever! We hope you could come and party with Buddha-Bar on June 28, 2013. See you there!